A reminder of the different A-bands that spoke with us during the first semester in 2011! 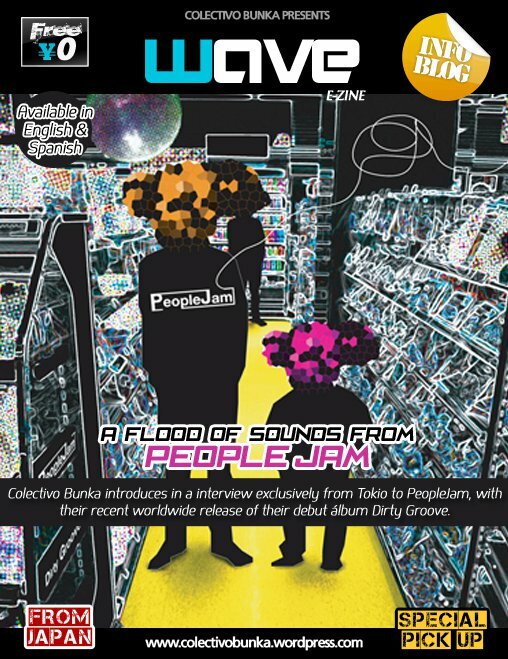 – Recordando las diversas bandas que hemos entrevistado durante el primer semestre de 2011. Footer – Textos y pie de página. Pedro Suárez. During this half-year, Wave blog news reviewed several genres, bands, people and sounds that tagged our internationalization stage that we are committed with our 5th anniversary. Therefore, we present for our loyal audience our facts. Enjoy it! Bunka, will connect you with Asia! – Durante el primer semestre de 2011, Wave reseñó diversos géneros, bandas, personas y sonidos que marcaron nuestro proceso de internacionalización que hemos adquirido con motivo de los 5 años de vida. Por ello, presentamos ante nuestra fiel audiencia nuestros resultados. ¡Disfrutenlo! ¡Bunka, te seguirá conectando con Asia! 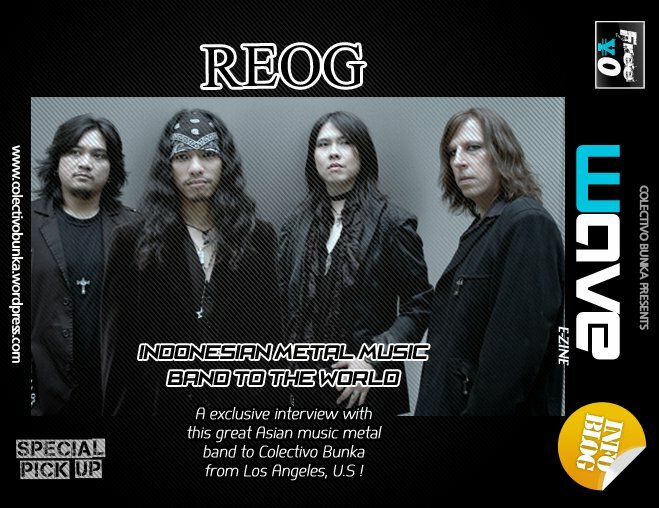 REOG, Indonesian metal music from West Coast. Our first interview in 2011. Thanks Duan Damais & the REOG's musicians. Rock on! Bunka made history! We were in Japan Nite in NYC! 1st. Latin mass media in Spanish exclusive there! Great show and many reminders that never forgive us! Arigato Audrey! Arigato bands! Arigato NYC! Brazil sound J-music with Ryokan. 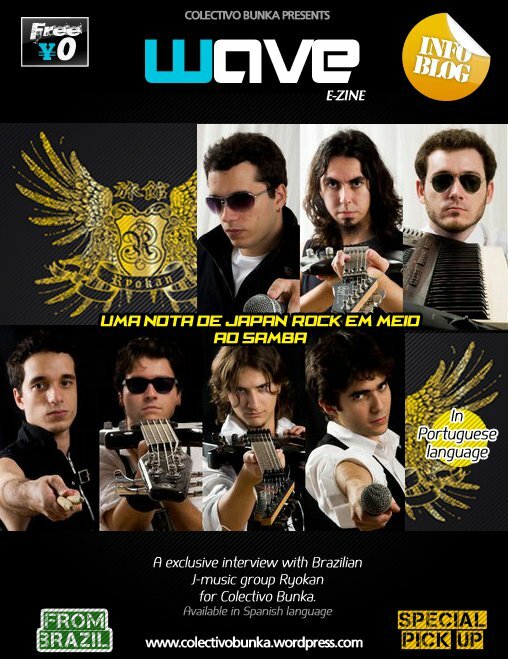 Thanks to our Brazil and Argentina's correspondent, Michael Barrero for this interview in Portuguese! 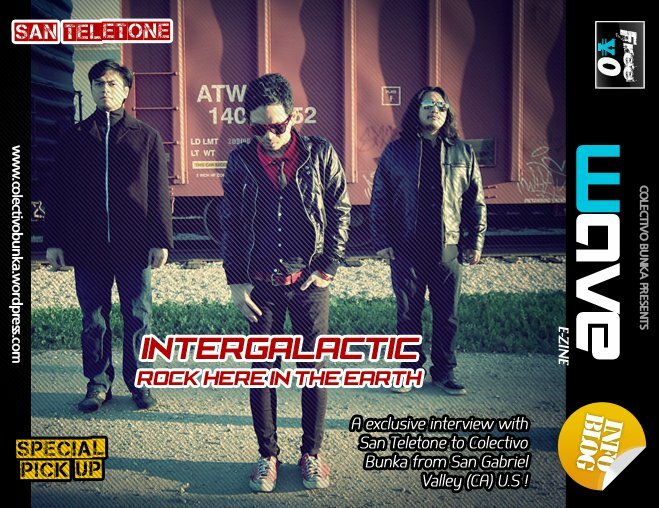 San Teletone showed that exist intergalatic indie rock from Los Angeles, with a great Indonesian heritage in their sound and their lifes! Our return to radio system was a hit! 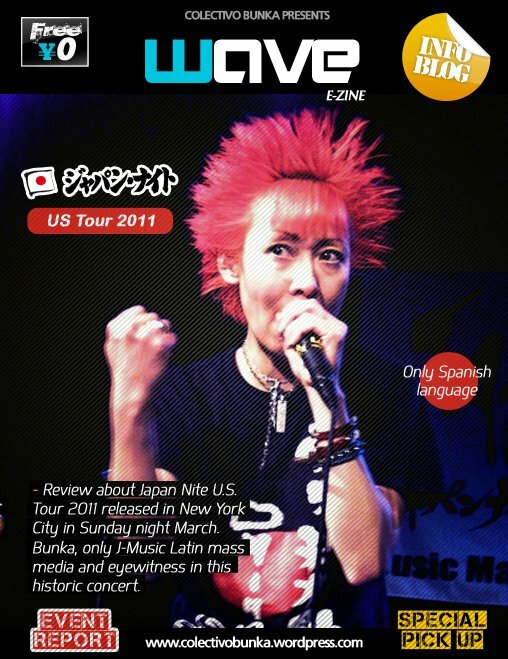 With J-Music Revolution (Mexico), where the noise come together! 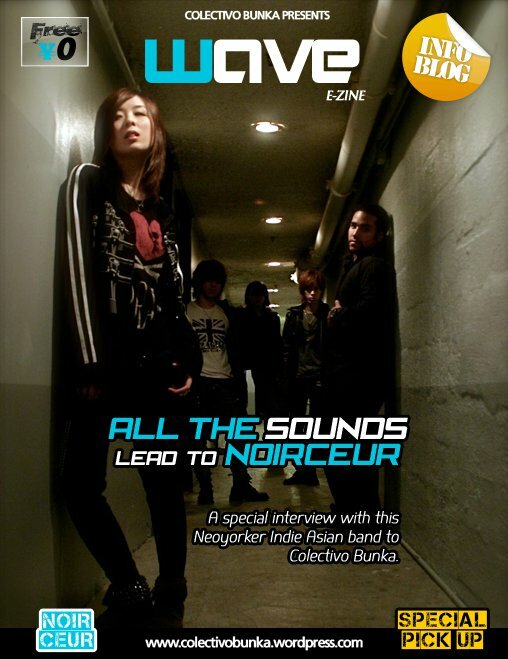 NoirceuR was our first New Yorker A-band that accepted to talk with us. First band with a Latin member, Josue from Puerto Rico (drums). Gelatine was the first band that answered your admiration about Colombian music and food, specially Edmar Castaneda and the arepas de choclo in NYC. Bunka made history again! We are invited by Japan Live in Peru. Conquering South America and the World with A-music! Bunka conquered Spain! Only Latin mass media to promote this charity musical concert for Japan. Therefore, Japan Go Ahead! Bunka, connected with humanity causes through J-music! 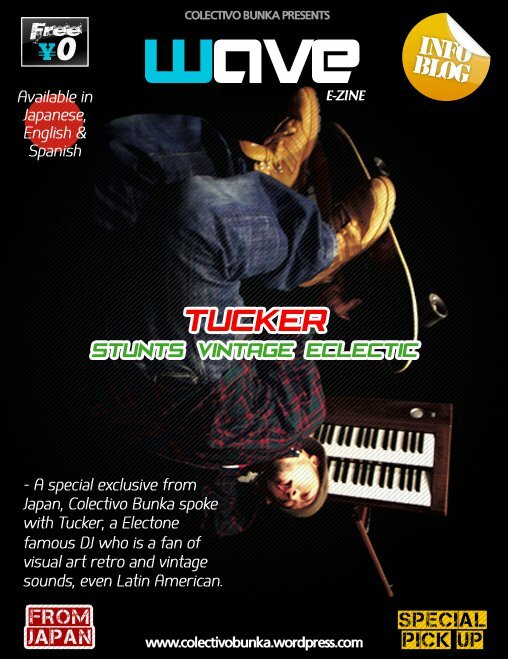 Arigato Tucker with told about your admiration about Latin vintage. We expect you can play and make many acrobatics in Colombia, soon! A innovative and funny interview from Tokyo! They were tuned with our radio session broadcast at 4 a.m. (Japan time), now Bunka is very known in Japan and Asia, too. Arigato PeopleJam!! 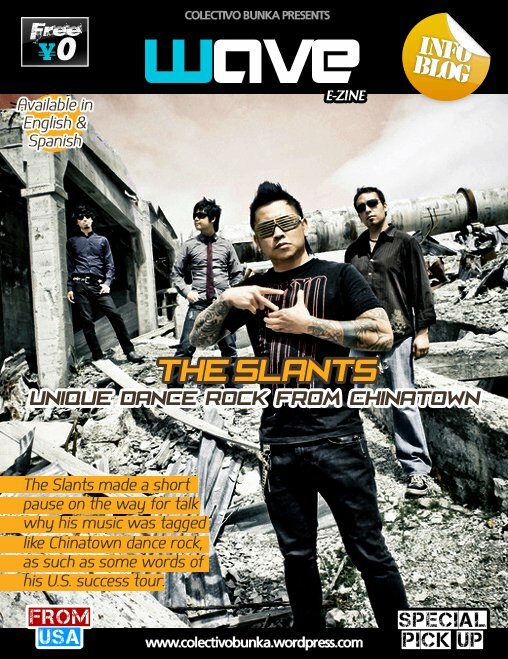 The Slants is the real Chinatown Dance Rock. Pioneers in their music, they are marking a great footprint in Portland. Hang on, amigos! The Indonesian metal music in the East Coast. They have played in Indonesian Tour in last spring. Therefore, always rocking on! Esta entrada fue publicada en Wave BK Special Pick-Up. Guarda el enlace permanente.